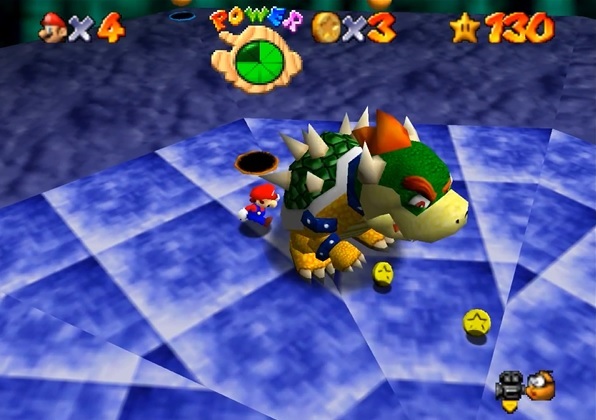 Over the last few months, Kaze Emanuar has made some interesting mods for Super Mario 64. He’s made an online multiplayer mod called Super Mario 64 Online, which adds new characters and abilities along with the ability for 24 players to play at once. He’s made Super Mario Odyssey 64, a mod that adds the Capture mechanics from Mario Odyssey into Mario 64 so you can control enemies. And well, that’s not even getting started on his full-length projects. Like the amazing Super Mario 64 Last Impact game. Or his equally impressive looking Ocarina of Time remake that’s in development right now. The guy’s basically a Mario 64 hacking god. If Nintendo’s done something interesting, he’s already replicated it in the Mario 64 engine the very same day! Which is only reinforced even further by his latest mod. Why? Because this one actually adds a portal gun to the game! As you can see, it works pretty damn well for the most part. What’s more, it’s not limited to Mario either. Nope, this mod works on everything in the game. Want to cheat the Bowser fight? Drop a portal on a bomb, then chuck Bowser in the other one. Want to win a race? Sure, just put one near the start and one near the finish line. The possibilities are virtually endless! It really does feel like a natural part of the game here. So, if you’re a Mario 64 fan (or want to see Mario mess around with portals), check it out. It’s definitely one of the better mods seen in a while!